Project "Poem on a Postcard"
Ah, here it comes then, finally, a proper blog post. Many of you will probably recognise that title quotation as lifted whole out of one of the most famous books in the world, Alice’s Adventures in Wonderland. That’s when Alice, frustrated and confused by so many (rather brusque) changes in height, and puzzled by the anthropomorphic White Rabbit who stubbornly refuses to acknowledge her in his haste , begins to doubt her own identity. And that’s one of the things that have always stuck with me – the mystery of this little girl’s identity: who is she, actually, and what makes her who she is, and, more importantly, why is that important at all? And since these are all questions which I should be addressing, like, right now, in a thesis chapter that seems to be infinitely writing itself in my mind (though sadly not on paper), I have, of course, decided to procrastinate by way of a timely blog post. 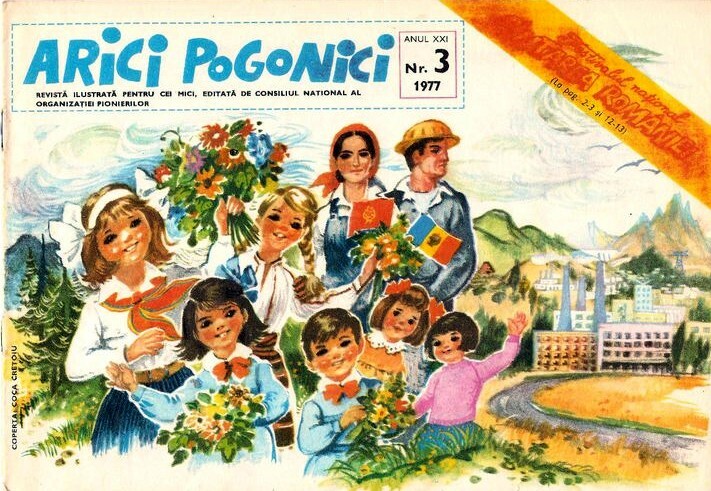 The 1976 illustrations by Angi Petrescu-Tipărescu. 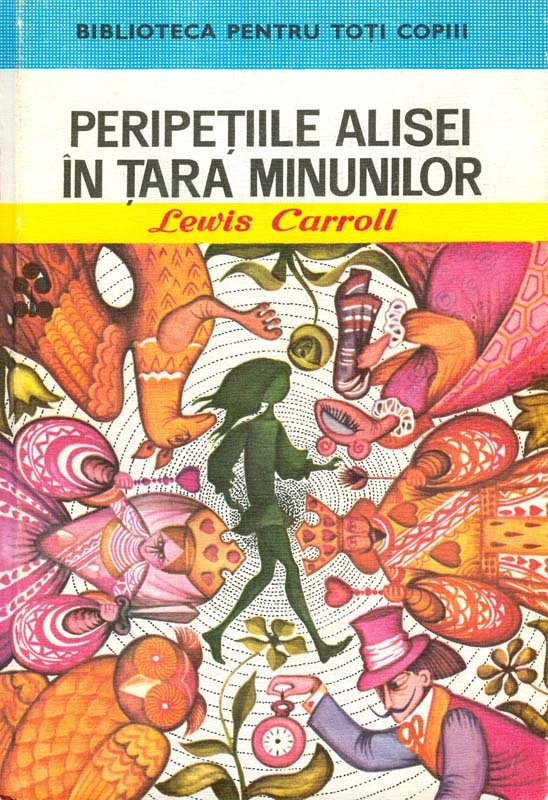 I found Petrescu-Tipărescu’s illustrations quite surreal (actually, you could even say the colourful cover design was rather trippy), with that insistence on drawing (creepy) starry eyes, on stylising the animals and making everything (hair, feathers, bunny ears) look as though it was waving in the wind. I have to confess I particularly liked what I see as the ‘Oriental design’ touches: the ‘wrought iron’ lamps, intricately ‘carved’ doors, the arabesque on the Mad Hatter’s teapot… However, I also couldn’t help but notice the striking similarities between Petrescu-Tipărescu’s Alice and Attwell’s Alice (see the dotty drop-waist dress? the stripy stockings? the wavy, beribboned hairdo?) and some Soviet-style elements (the backdrop sun meant to emphasise the ‘brilliancy’ of the main character?). The 1987 illustrations by Vasile Olac. These ones I lifted from some book scans helpfully uploaded online by a kind soul. Thank you, whoever you are! This, as you probably noticed, was a particularly lavish edition, with full colour illustrations virtually every two pages. But well, if Petrescu-Tipărescu’s illustrations were rather surreal, then Olac’s are downright eerie. Where do I even start? His Alice is the ‘Aryan type’ (blonde and blue-eyed, as well one might expect, I suppose; after all, even Tenniel’s famous representations show us a fair little girl) wearing a subdued schoolgirl hairdo and a scrubbed white collar. 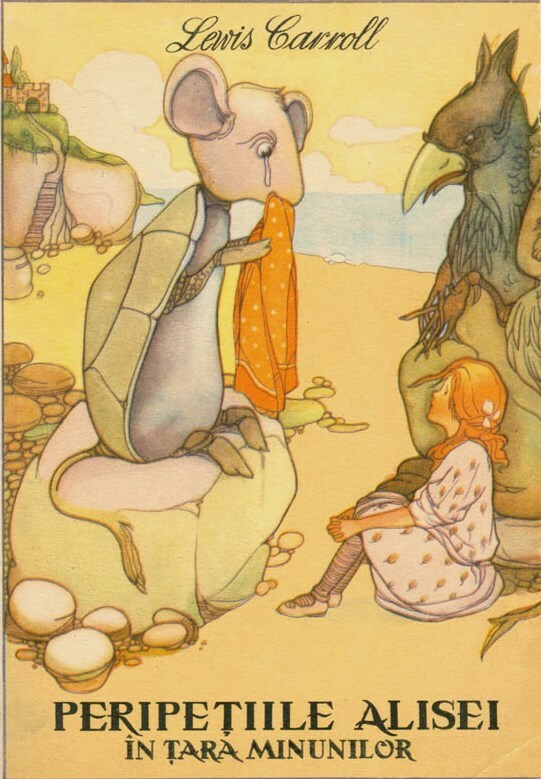 Interestingly, also, she is androgynous (in the first illustration, I initially thought she was a boy) – with her long, shapeless yellow dress (which might as well be a nightgown). Another androgynous figure is the Mock Turtle, whom I at first had some difficulty in understanding whether it was modelled after a wrinkled old woman or a bald old man. And there is so much stuff added to Olac’s illustration (by comparison with the text), that I feel quite confident the pictures tell us a story that is definitely not Carroll’s. Seriously, while looking at the illustration (in the actual text), half of the time it was difficult to even say what they were all about. I mean, where does the ‘Father Time’ guy come from? Or the two figures painting sheets of paper with treacle at the tea party? Or the arrows in the gardeners’ hats? Or the green, insectile man peeping at Alice and the Mad Hatter et al from behind the trees??? Olac’s Wonderland is populated by wonderful, bizarre, monstrous creatures which I believe not even Carroll ever dreamed of! His illustrations at times put me in mind of the macabre art of Edward Gorey or funny/weird stuff of Tim Burton. I don’t understand where it comes from, and it makes my heart skip a beat to look at it. I’d be more than happy to read your thoughts on these unusual illustrations – how do you read them? Do they remind you of anything? Do you find them in any way propagandistic? Or perhaps seditious? Do let me know! Finally, I’d like to pass this ‘quest’ on to you, international readers: do you know of any wonderful and obscure representations of Alice? By artists from your home countries, perhaps? Please do share if you can, I’d love see as many overlooked Alice illustrations as possible!